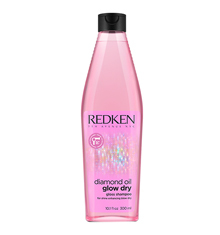 Polish away dull hair with Redken Diamond Oil Glow Dry Gloss Scrub, a pre-shampoo scrub designed to detangle and prep your hair before using heat styling. Enriched in amla extract and coriander seed oil it gently removes impurities and banishes dullness, promoting healthy radiant looking locks with a glowing shine. 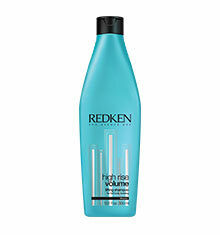 Apply Redken Glow Dry Gloss Scrub before shampoo to wet hair. 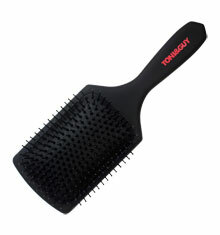 Rub in from mid-lengths to ends. 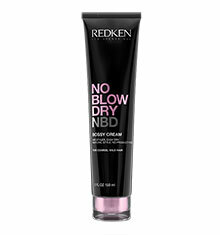 Use 2-3 times a week or as needed. 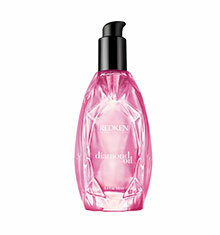 Use as a complete system with Diamond Oil Glow Dry Gloss Shampoo and conditioner and Blow Dry Shine Oil.